I’ve been on a mission for the past year and a half to remove toxins and chemicals from my household. It all started with our health care supplements, and from there it has grown and become almost an obsession to use only the purest, simplest, and health-promoting ingredients in our home. There was an overhaul in the kitchen to eliminate all processed foods, next went nasty unnatural cleaning products, and gradually we’ve been looking for suitable (often homemade) replacements for our beauty care supplies. I have four daughters, so it has not been an easy feat to find hair care, skin care, tooth care, make up, etc. that are good for our bodies and the environment. It’s often frustrating to find that these products are almost always more expensive and often do not work as well as their chemical-laden counterparts. That brings me to the topic of this post…deodorant. We live in Texas; it’s hot here. And I have 3 teenagers and one pre-teen, all of whom are athletes. Let’s just suffice it to say that we tried MANY different natural deodorants from various health food stores, and none of them were satisfactory for my not-so-fresh-smelling lovely ladies, even with multiple applications daily. 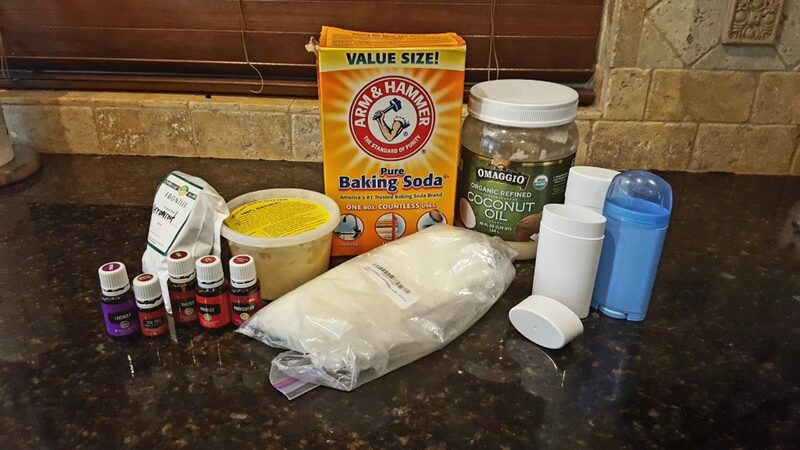 Then a friend shared her recipe for a homemade deodorant. 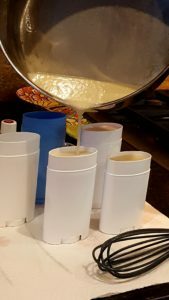 I was super skeptical at first, but because it costs only pennies to make up a batch, I figured I had nothing to lose. And I was happily surprised when it actually worked. This deodorant smells nice, goes on smoothly, and beats the 100+ degree Texas heat! Add to that the peace of mind that we are not putting aluminum and other toxic chemicals right over our sensitive lymph areas daily, and this recipe is a winner. In fact, I add therapeutic grade essential oils to our deodorant that actually promote lymphatic cleanse and good function. A deodorant that is actually good for body? If that gets your attention, this recipe is for you. Melt coconut oil, besswax pellets, and shea butter in a medium saucepan over medium heat. 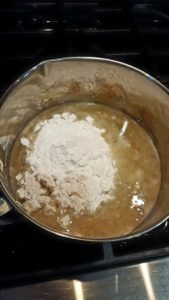 Once melted, remove mixture from heat, add baking soda and arrowroot powder, and stir to combine. Carefully pour into deodorant dispensers. They will settle a little as they cool, so you can top off each dispenser after a couple of minutes. 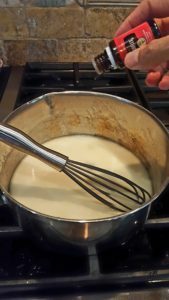 If the mixture has cooled and gotten too thick, just warm it over low heat for a few seconds until you can pour it. You might have a little left over, depending on the size of your dispensers. You could pour that last bit into ice cube trays to make samples for friends to try. 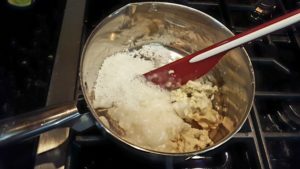 I have tweaked the recipe a few times, so you might need to adjust for yourself as well. Some people are very sensitive to baking soda and may experience a rash from this deodorant. You can substitute more arrowroot, but the baking soda is actually good for detoxifying and pH balance. In fact, a baking soda sensitivity is probably indicative of an acidic atmosphere, not an allergic reaction. This can be addressed through a healthy diet and supplements. Be aware that this is a deodorant, not an antiperspirant. While I think it keeps me relatively dry, it does not prevent perspiration, and that is a good thing! Your body was created to sweat as a way to cleanse and remove toxins. If we take away that ability, we trap those toxins in our bodies. For my girls, it took a little getting used to and they have learned that some sweating during work outs is acceptable as long as they don’t stink. Also note that the first week or so you might not think the deodorant is working well and may even have to re-apply during the day. Your body is probably detoxing and cleansing all those trapped toxins. Give your body a while to adjust and know that your deodorant is no longer a risk to your health.